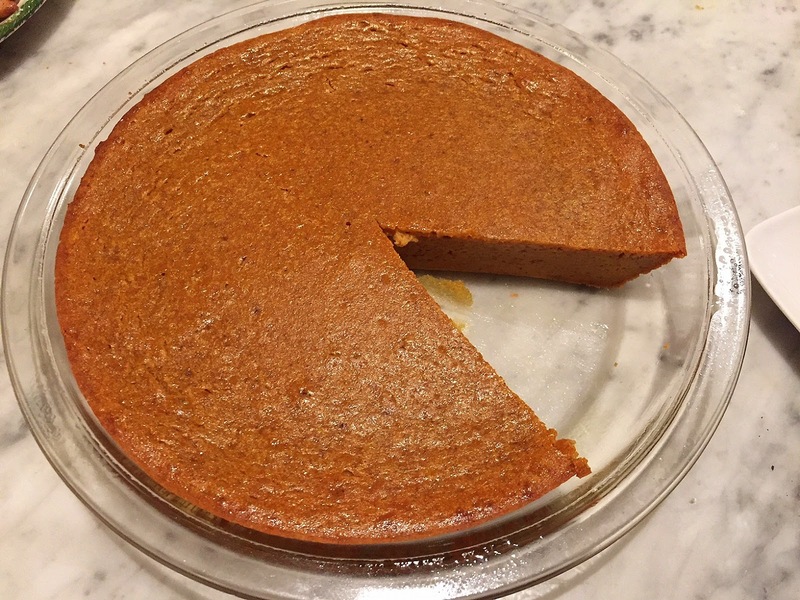 Delicious pumpkin pie in just minutes? 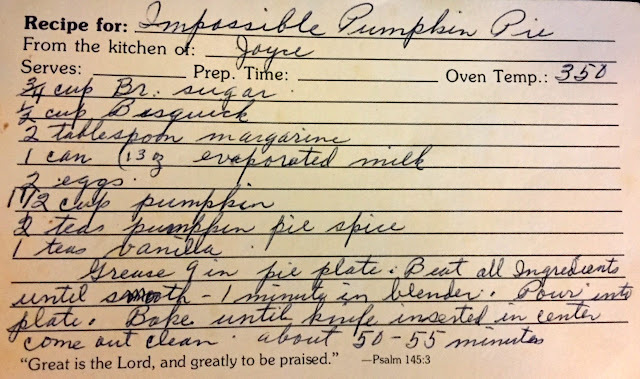 Impossible you say? It's not quite a Thanksgiving miracle, but if you have a blender and oven, it's possible! 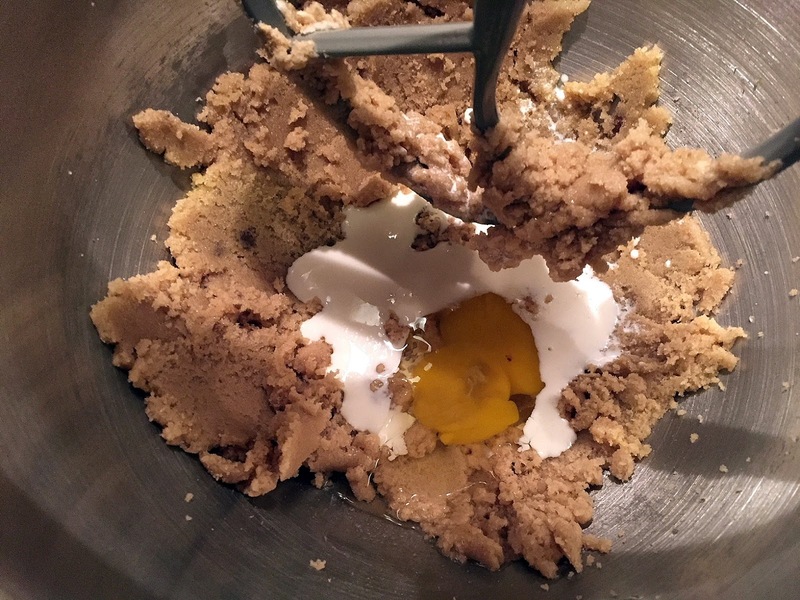 This is a cheat pie made by placing all the ingredients -- including a half cup of Bisquick -- in the blender and mixing for about one minute. The pie didn't form a substantial crust at all; in fact, it was barely there, but the pie otherwise tasted like the traditional Thanksgiving dessert. 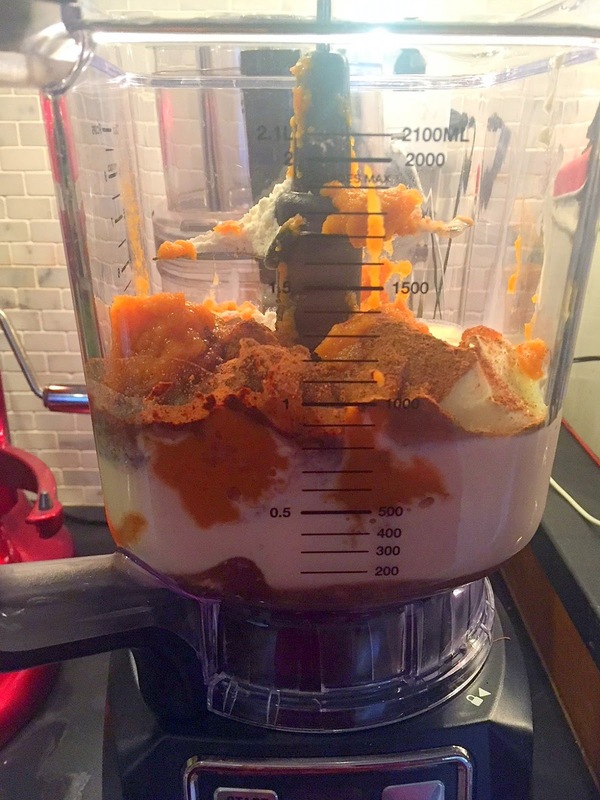 Start by putting all the ingredients in a blender. 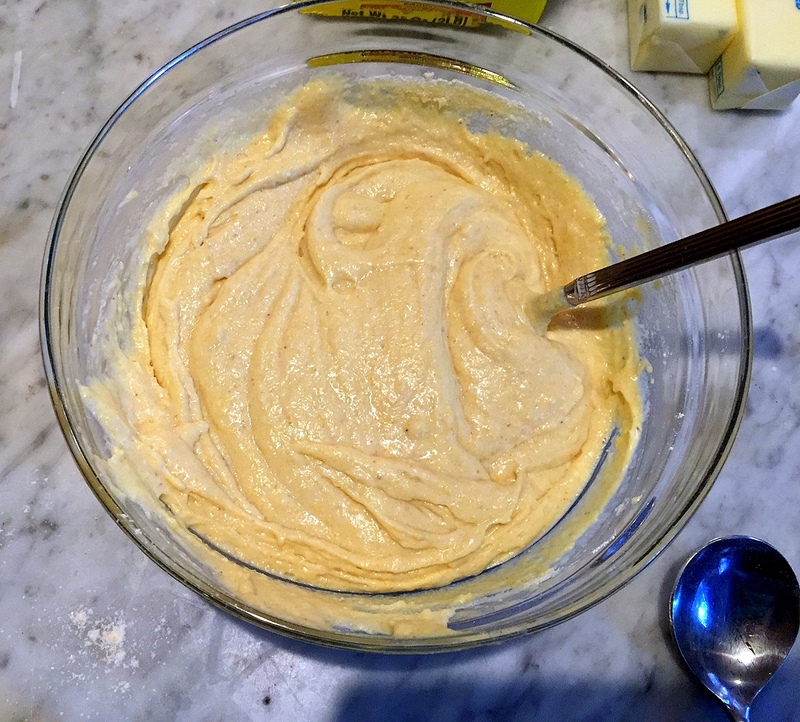 I used the DH's fancy smoothie blender, which I can barely operate but, after pressing all sorts of buttons, it whirled everything into a smooth batter. 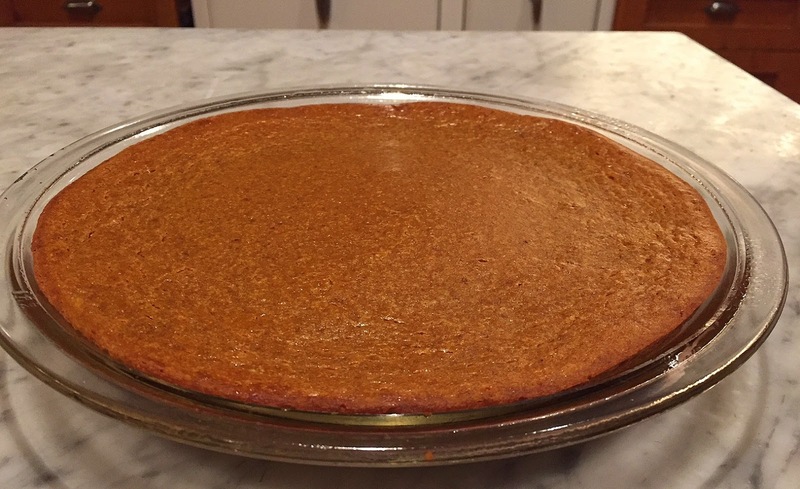 You'll need to grease a nine-or 10-inch pie pan. Spraying it with Pam, or similar, is the easiest method. 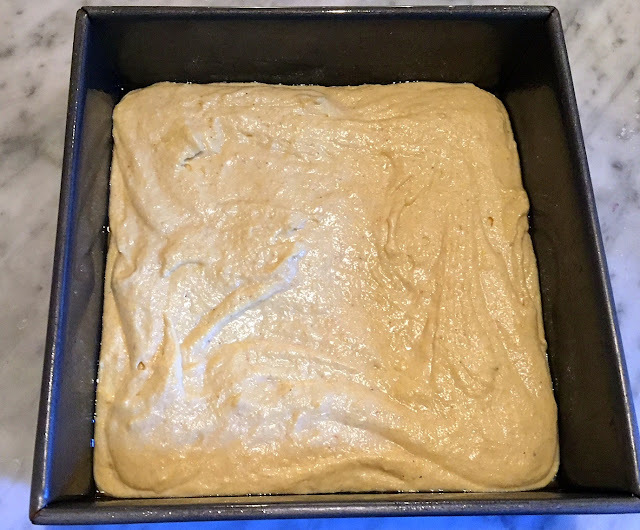 Pour in the batter and place in the preheated oven. I put the pan on a cookie sheet lined with foil to catch any spillover. When a tester comes out clean, remove from the oven and let cool. Serve and enjoy. 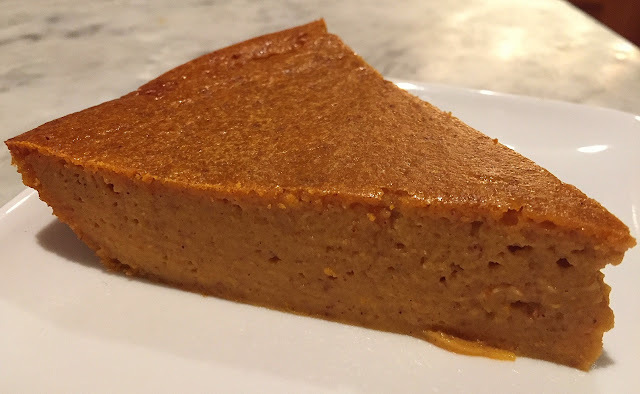 It's better with whipped cream, as is nearly everything else in life. 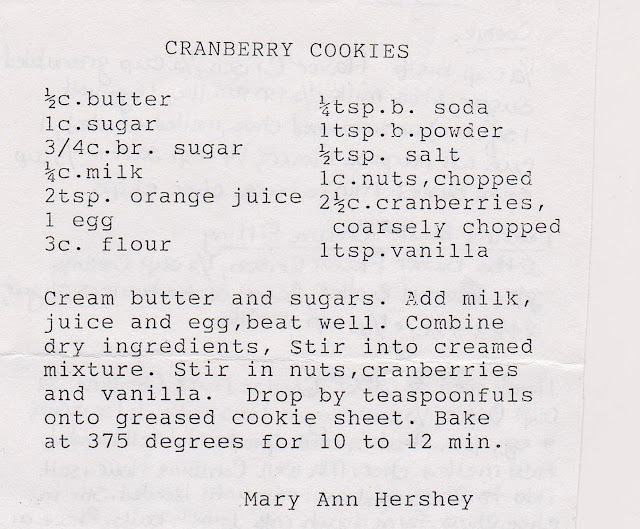 Production notes: I followed this recipe exactly, except I used softened butter in place of the margarine. Of course, the first time I made it, I realized that I'd forgotten to add the eggs. 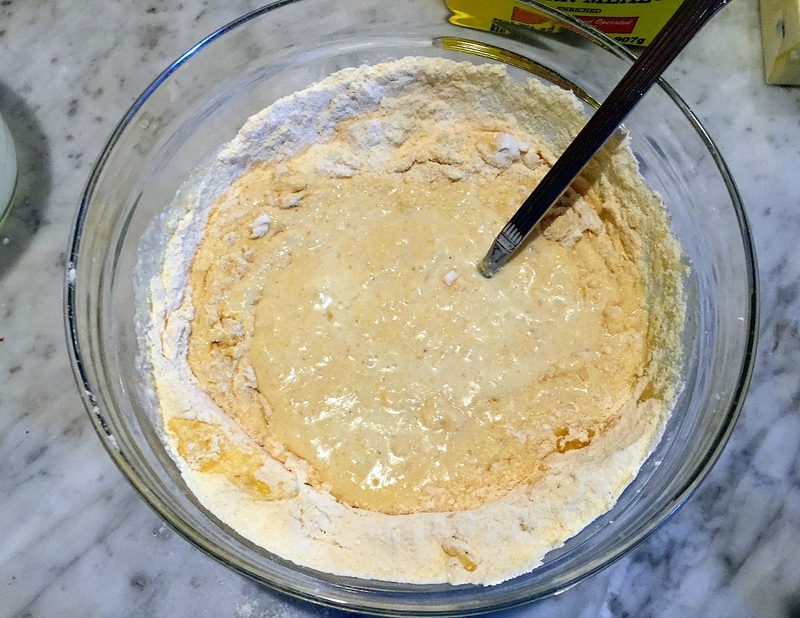 (However, that version formed a more traditional pie crust. Go figure!) But it took just minutes to whip up another one. 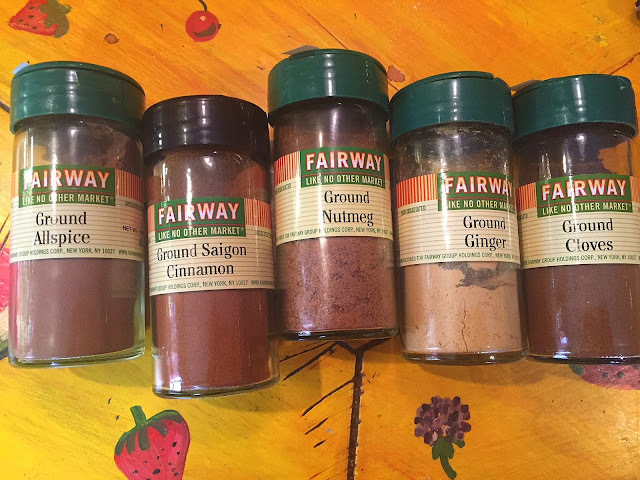 If you don't have pumpkin pie spice in your pantry, you can make your own. A hot-from-the-oven pan of cornbread is an excellent way to elevate a weeknight dinner of chili or soup or really anything. It's a rather lowly baked good that, homemade and warm, adds something special to any meal. 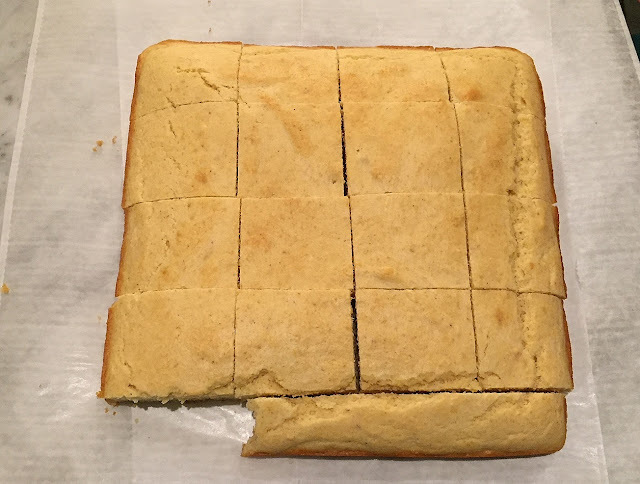 Traditional cornbread recipes, like this vintage one from the 1969 Dorcas Missionary Circle of the Baptist Church in Pound, Wisconsin, are rather plebeian affairs. 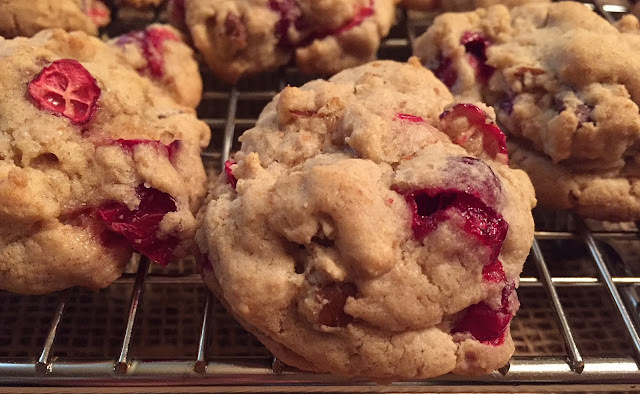 Short on sugar and fat, they are nonetheless delicious. And extremely simple to make, and equally difficult to screw up. 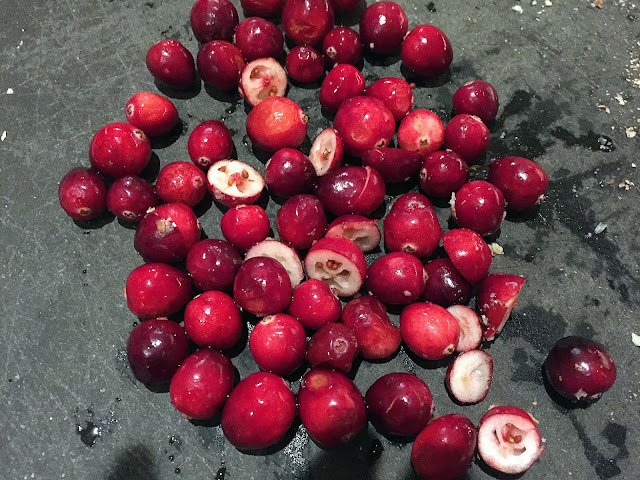 It's an excellent addendum to your Thanksgiving table, or crumbled and used as a stuffing base. 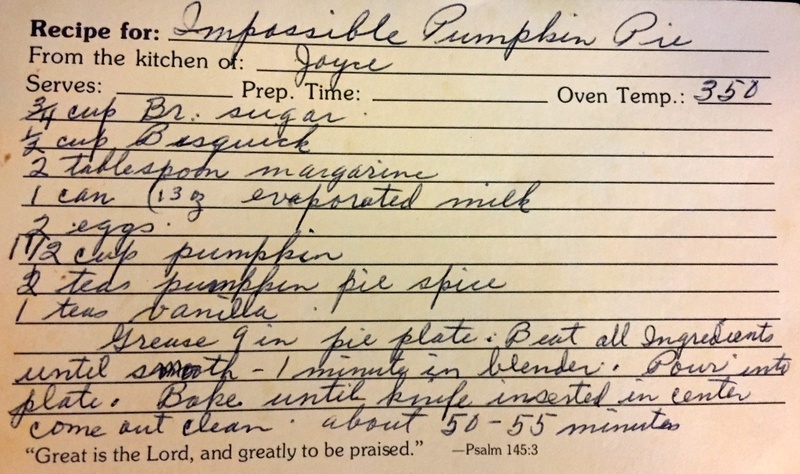 While I mostly bake from handwritten recipes, I do love church and school cookbooks, as I think the housewives and church ladies submit their best recipes. 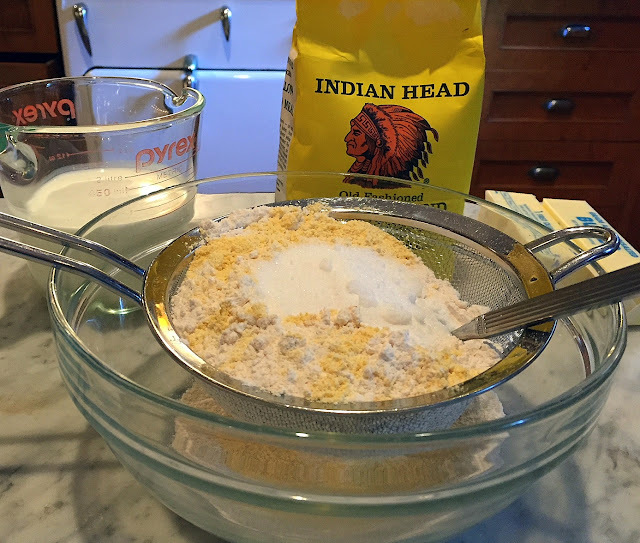 Start by sifting the dry ingredients together. smooth, like this. A spoon works fine -- no need for any modern-day machines. 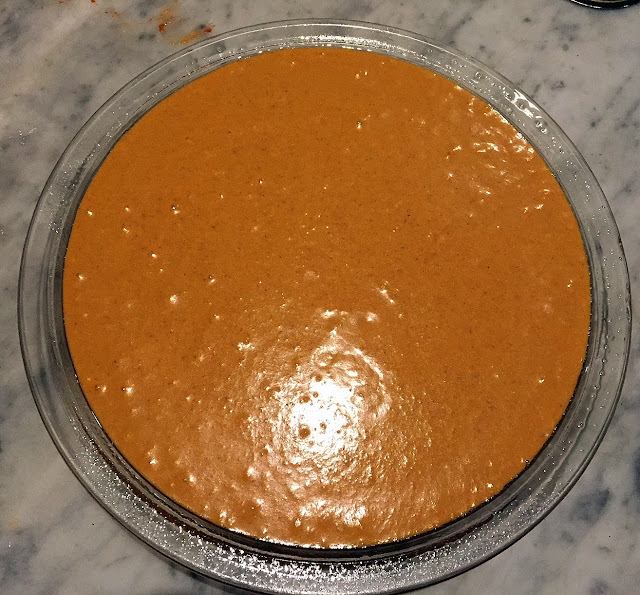 Pour the batter in a greased pan and smooth until it reaches the edges. Bake until the top is golden and the edges just begin to come away from the sides of the pan. 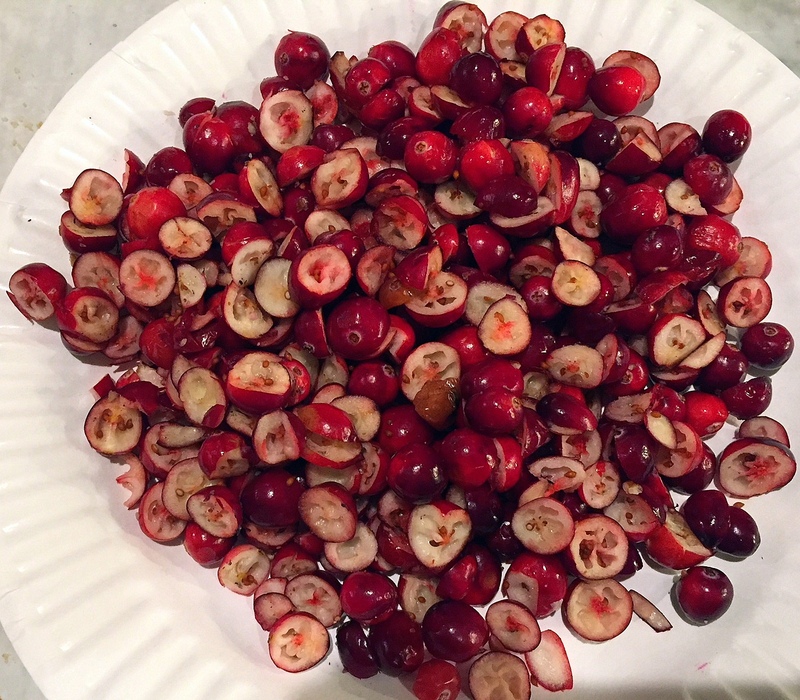 Turn out, cut and enjoy. Production notes: I followed this exactly, but accidentally used half & half in place of the milk (a sad fact I discovered the next morning when I poured my coffee). 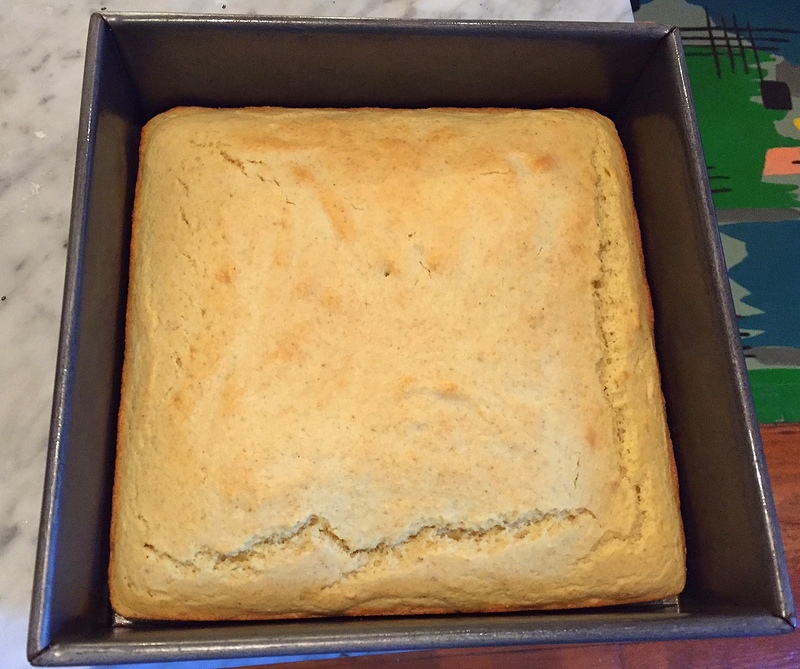 I baked it for about 20 minutes -- you don't want to overbake cornbread or it will be dry. 'Tis the season for fresh cranberries and after making sauce, bread, cake and cobbler with these tart ruby berries, I was delighted to discover this vintage recipe for Fresh Cranberry Cookies. 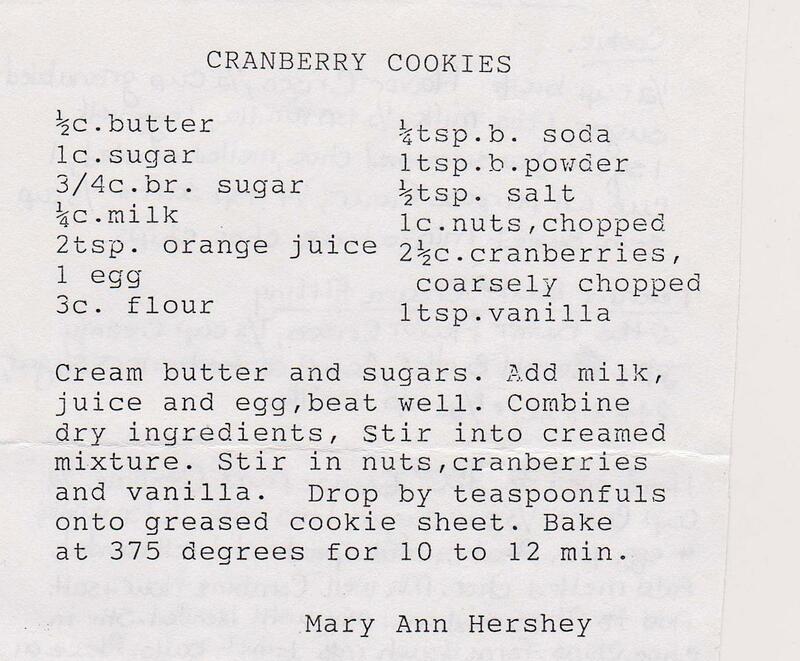 These would make a fine addition to your Thanksgiving dessert table, and a nice alternative to pie. the DH, a former "deli man," decided to do it. 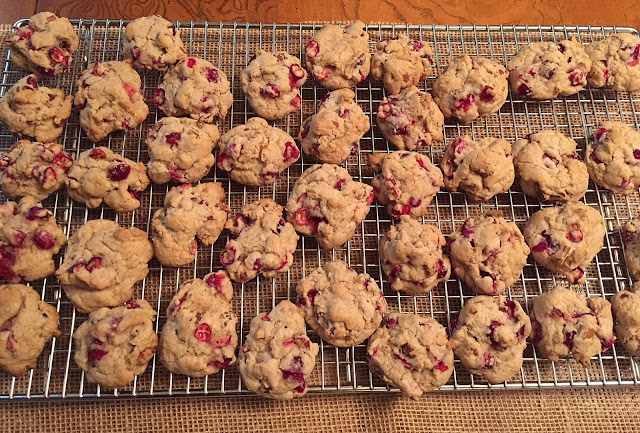 However, I do think these cookies would be fine using the whole berry if you don't have an ambitious sort at home willing to step up to the plate cutting board. The recipe calls for two teaspoons of orange juice and, having none the house, I just juiced half an orange (and drank the extra!). Make sure your butter is at room temperature, and beat it with the sugars. 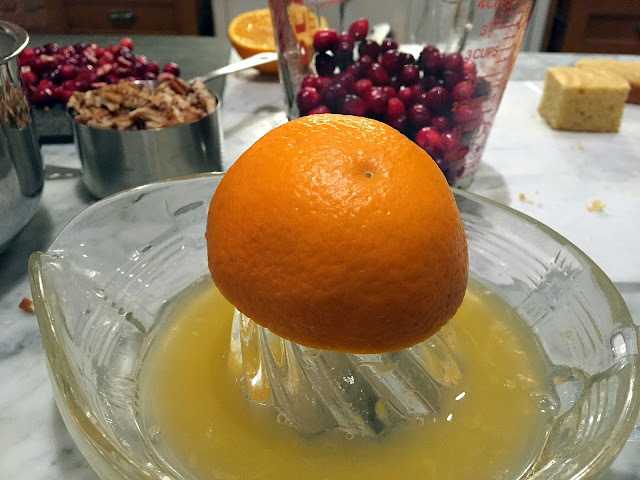 Add the milk, juice and egg and combine. 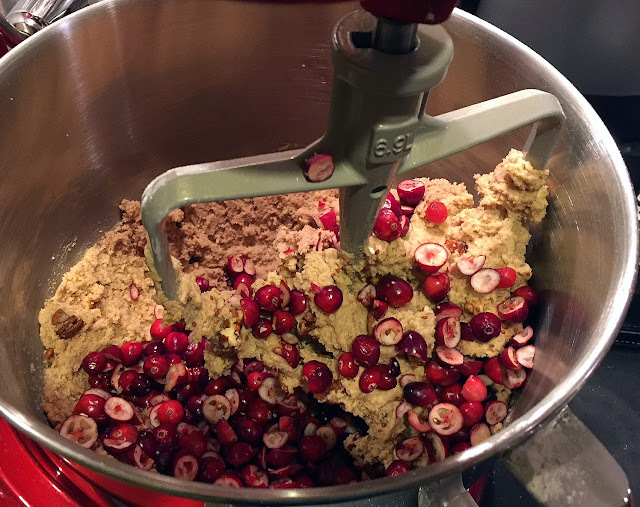 After you add the dry ingredients and combine well, add the cranberries and nuts to the batter. I used pecans, but walnuts would also be nice. 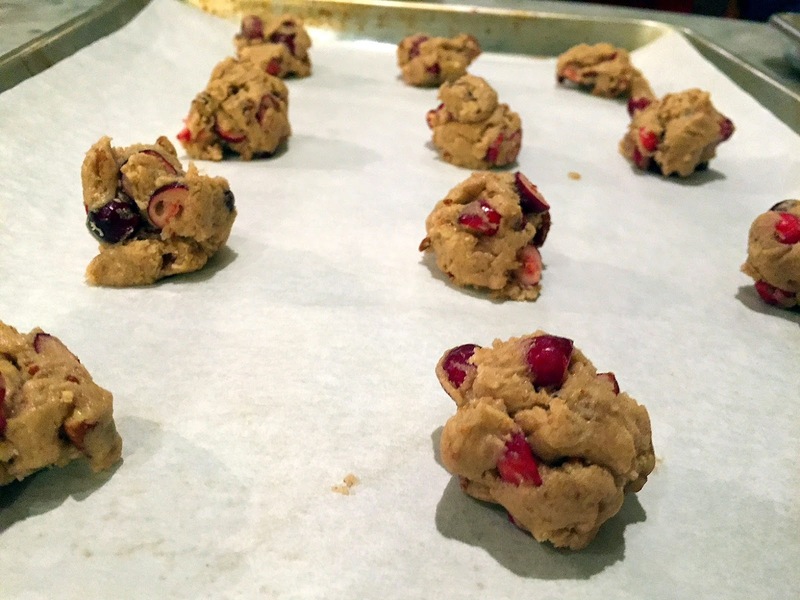 I used gloved hands to form the cookies into small balls, rather than dropping them by teaspoon onto the cookie sheet. They don't spread much so you can place them close to one another. 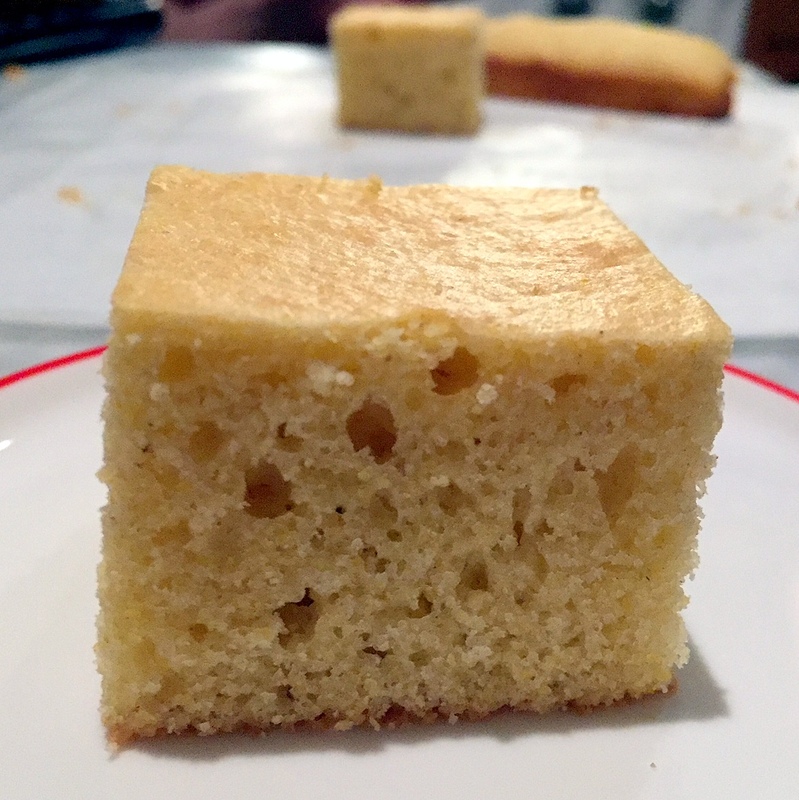 Bake for about 10 minutes and cool on racks. Production notes: I followed the recipe exactly, using pecans for the nuts. 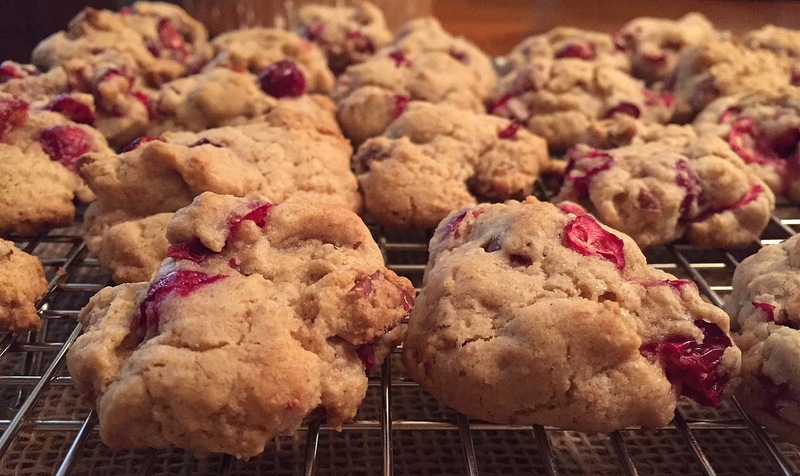 The SIL, who adored these cookies, suggested gilding the lily berry by adding white chocolate to the batter. I will try that next time, Josh!